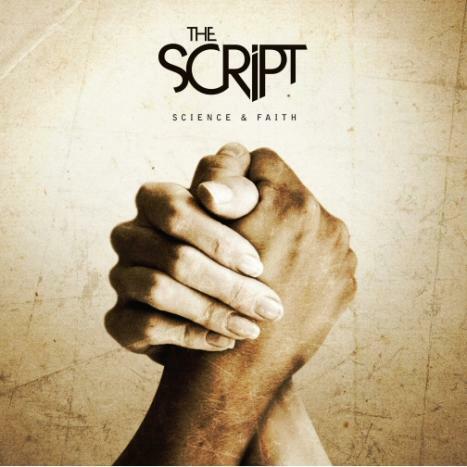 Science and Faith is The Script’s second album released late last year. From what I’ve heard, the album debuted at number one in the UK and Ireland, so you could pretty much tell that the album’s pretty impressive. The first single, “For The First Time” (Track 2) also debuted in number one. I did like the song when I first heard on a bus while listening to a local radio, but it was the second single, “Nothing” (Track 3) that made me want to get my hands on this album. I’m pretty sure it had nothing to do with the location, but the first time I really heard “Nothing” was back in December, in a shoe store in Tutuban. I was enjoying the song so much that I didn’t want to leave the store despite its lack of good looking and functional foot wear. After the holidays, I got myself a copy of the album without too much expectation. The Script has been one of my favorite bands ever since the release of their first self-titled album, and God knows I could sing as fast as Danny O’Donoghue in “Talk You Down” and “Before the Worst”. If we’re going to compare the new album to their first, this one’s lighter – a little less dramatic. The second album has gone a bit mainstream as compared to the heart-wrenching rawness that there was in their first album – however, Science and Faith was no sophomore slump at all. There’s still those brilliant lyrics that people would more or less quote over and over, the tunes are catchy and well, while most of its songs were for the brokenhearted, you don’t really need to be that unfortunate to love their songs. Hence, I loved it. It was the kind of album that you could bear listening to from Track 1 to Track 10. And the longer I listened to it, the more that I fell in love with the tracks. I will, however, be sharing to you my first favorite tracks in this album: “Nothing”, “Science and Faith”, “If You Ever Come Back” and “Long Gone and Moved On”. I do believe that “Nothing” is this album’s “Breakeven”, but I’ll leave you with “Science and Faith”, – the first track my ears took notice of, and if it had an eyebrow, it would have raised at the moment the song played due to curiosity and amusement – to let the music of The Script get to you.